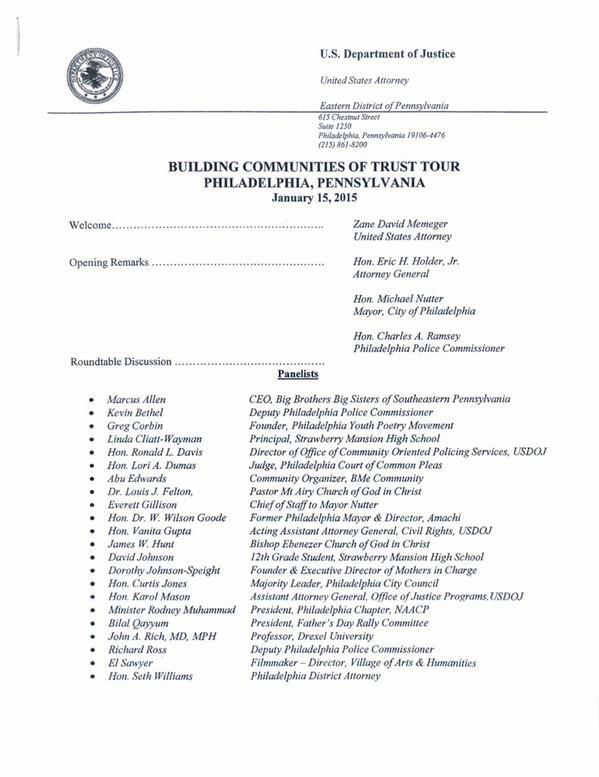 Attorney General Eric Holder visited Philadelphia Thursday as part of a national “Building Communities of Trust” listening tour in the wake of protests across the country over policing practices and widespread distrust between communities of color and law enforcement. 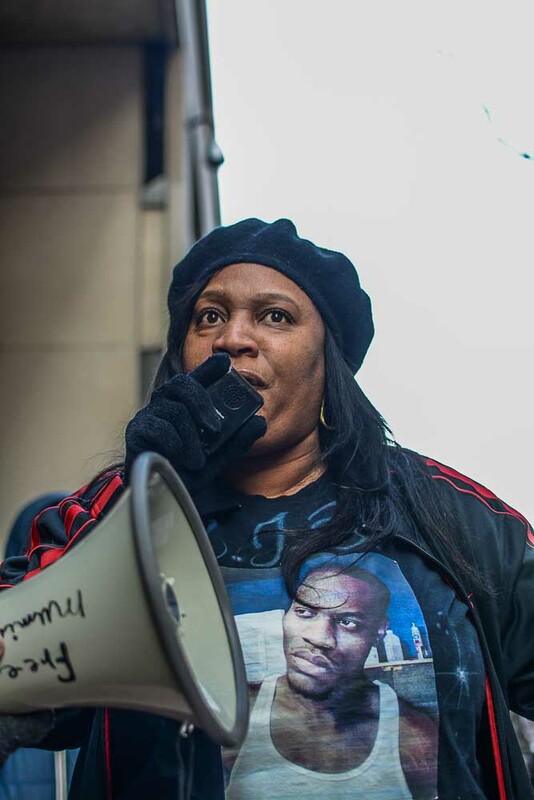 …there have also been instances of tension between members of the Latino community in Philadelphia and local police, among them, the case of an officer who was recorded in video punching a Latina woman during the celebration after the Puerto Rican parade; police tossing Dominican bodegas in North Philly, and the mistrust of the Latino immigrant community due to city’s Preliminary Arraignment Reporting System (PARS) which allowed for the sharing of information with federal immigration agencies — this last was lessened in 2014 after Mayor Nutter signed an executive order. Find the full list of attendees at yesterday’s event below. 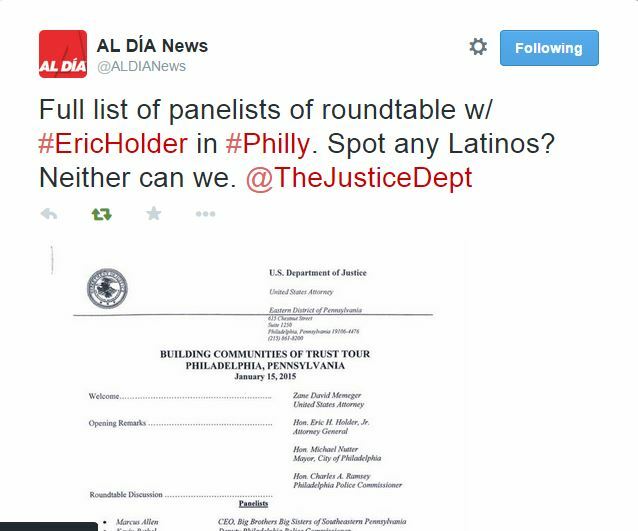 Check out Philly Declaration’s coverage of Eric Holder’s visit to Philadelphia. Holder held a meeting meant to build community trust for police officers. A key constituency wasn’t invited. Kenneth Lipp and Dustin Slaughter explain.